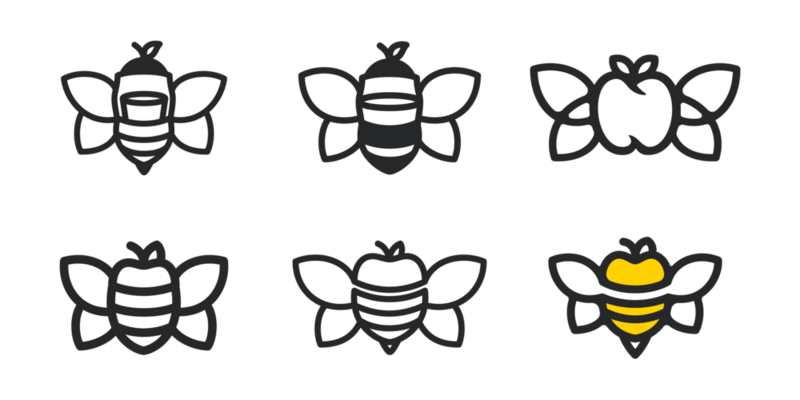 When the husband-and-wife owned cidery Right Bee Cider approached us to tackle a full rebrand, we knew we had a unique challenge ahead of us. We had to preserve the character of their original packaging and design, while injecting a sleeker, more modern feel. It needed to communicate Katie and Charlie’s commitment to handmade cider, while standing out on a crowded shelf, and telling its romantic origin story. 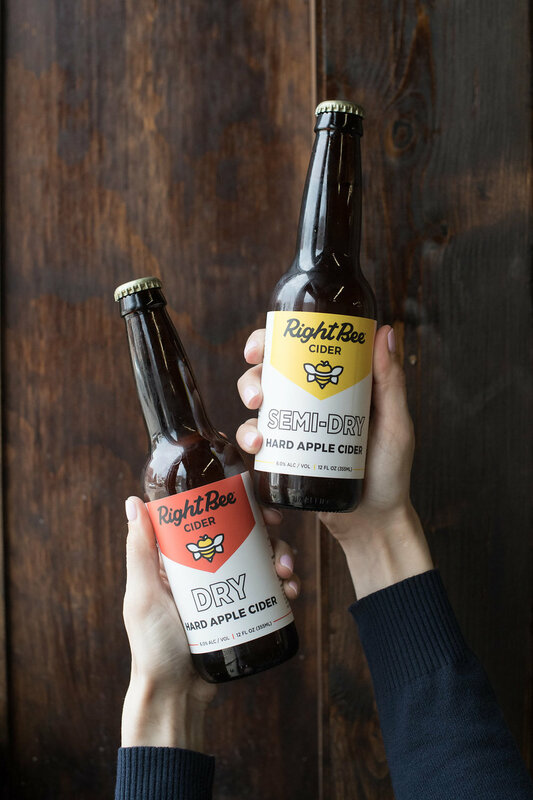 We started by simplifying that origin story to a single statement: Right Beside Her, Right Bee Cider. The longer version, spelled out on the packaging, would go on to influence every aspect of their approachable design and cute illustration style. Now he’s right beside her.